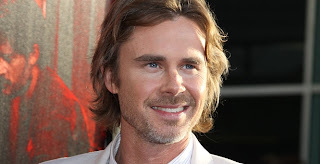 According to the Wrap, Sam Trammell (True Blood) will portray the role of Mr. Lancaster, a.k.a. Hazel's father, in the movie adaptation of John Green's best seller "The Fault in Our Stars." He will join Shailene Woodley (Hazel), Ansel Elgort (Gus), Nat Wolff (Isaac), and Laura Dern (Mrs.Lancaster). TFIOS will start filming on August 26 in Pittsburgh, PA.